Almost half the power consumed in your home is consumed by your HVAC system. When you need to cut down your electricity bills, one better place to start from is evaluating the energy utility of your HVAC system or thinking of more recent cooling systems, especially if the cooling system you have now is the window AC unit. But how can you tell which of the system is most economical? 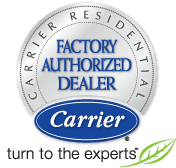 Get to know more about how central air conditioners and ductless systems function, and also find out the benefits of the systems and know which is more suitable for you. They both have the same method to cool the air: they extract hot air in your home and have it replaced with cooled air with the use of condenser coils and refrigerant. Both systems require electrical energy to carry out this process, but one benefit of central air systems is that they are designed to cool your entire home, whereas other single unit cooling systems are designed to cool only a section or a room in your home. However, ductless systems cool the entire home by adding more units to some individual areas and rooms. One noteworthy distinction between ductless and central systems is whether a ductwork is present or not. Mini-splits don’t make use of ducts while central air does. The US department of energy reported that one-third of your system’s cooling could be lost as a result of leaks or flaws in duct works, in that respect proving the efficiency of ductless systems. A central cooling system functions mainly by releasing cool air through ventilators that are connected to your ductwork. This means both in winter and summer you will be heating and cooling some rooms you’ll probably not use. You can have new thermostats installed to boost central air efficiency; this will allow you to regulate temperature zonally. One excellent way to reduce your energy bill is to cool or heat only rooms you use, and leave the once you don’t use. 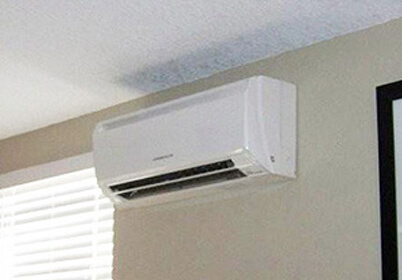 What ductless mini-split systems do is only zonal cooling because of the way they are designed and installed. Provided your zone operations are correct, and you will only heat and cool rooms you need, this mini-split system is a more efficient alternative. Seasonal energy efficiency ratio (SEER) calculates the measure of electricity a cooling system utilizes contrasted with the measure of cooling it gives. If the SEER number is high, it means the system is more efficient. Both cooling systems are calculated using SEER scale, and they are both highly efficient. Cooling systems that are over 10 years old will probably have a SEER rating that is below 10. Whereas the new unit’s rating is 13 or above, so changing your cooling systems to more recent ones will definitely reduce your electricity bills. You may have a limited choice for a cooling system based on the kind of home you live in. For instance, trying to install ductwork in a house that is not built with it is more difficult than getting a mini-split installed. Though there is a slight difference in energy efficiency in both of them, so it’s left for you to choose depending on your environment or whether you want to conserve energy.